A 2D volume can be refreshed from the Volume tab if any lines were added or removed since the volume was loaded. Select a volume that you want to refresh. Press Ctrl and click to select multiple volumes. 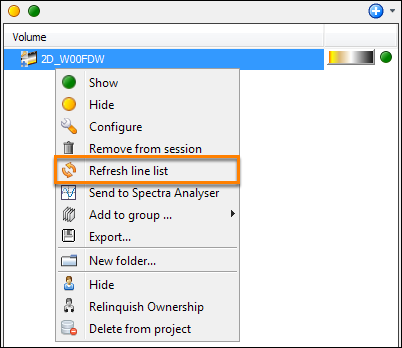 Right-click the selected volume(s), and select Refresh line list.